Easy to install with no on-site cutting or wastage the PERGOLA is a complete solution. With ever increasing energy bills it is important to ensure your home is as energy efficient as possible. The Everything from the contemporary to the classic. We have sourced some of the most exciting colours to make your new door unique. 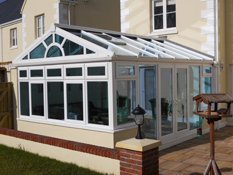 The Guardian Conservatory Roof offers contemporary or traditional finishes internally. 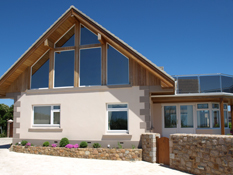 Affordable Windows Jersey are one of Jersey’s leading suppliers of Conservatories and Orangeries. 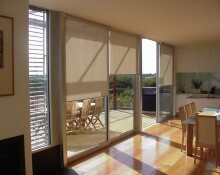 Affordable Windows Jersey supply and install the latest folding door systems. The perfect furnishings for your new window projects, ask about our deals. We specify German-engineered Kommerling uPVC profile to ensure high performance. 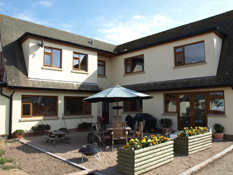 Ask about our fascias, guttering and rainwater products when specifying your next project. Our Conservatories and Orangeries are constructed from the highest quality materials and use the latest technology in energy efficiency. Our Aluminium Folding Doors are an excellent way to blur the margin between house and garden, allowing light and space into the home. Aluminium Window and Doors have been designed to reduce heat loss by the use of a thermally broken aluminium frame with a polyamide bridge. Specifying our German-engineered Kommerling uPVC profile ensures that your project is both aesthetically pleasing and high performance. Ask about our fascias, guttering and rainwater products when specifying your next building project - you might be surprised to see whats on offer. We strive to provide our clients the most innovative range of products and services, and are proud to offer Blinds, Shutters, Awnings, & Pergolas. Affordable Windows Jersey now specialise in the manufacture of beautiful and durable Timber Sash & Casement Windows & Folding Doors. We now offer Jersey's finest range of Solid Timber-core Composite Doors, boasting unrivalled levels of security, energy efficiency and beauty. 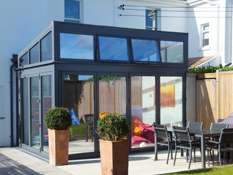 As one of Jersey’s pioneers in Windows and Conservatories, we strive to provide our clients the most innovative range of products and services available in the market.